When it comes to buying or selling a home, the process can seem overwhelming. Understanding the real estate market and the pitfalls to watch out for is an important first step to a successful and stress free experiences. As a REALTOR®, Janice recognizes your time is valuable; so whether you are a buyer or seller, a complete guide of "what you need to know" is only a click or two away. WELCOME TO BRASELTONBraselton is going to be the next big "place to be". Come be part of the excitement! SEARCH ALL HOMESCome search all homes in Georgia to find the perfect one for you! SELLING A HOMELearn about our Advanced Property Marketing System. BUYING A HOMELearn about our powerful custom search tools and tips on finding the perfect home. MY HOME FINDERManage and save your searches & recieve email alerts when new listings become available. RESEARCH AREA SCHOOLS Compare school clusters, get test scores & SAT stats, and informational links. RELOCATION Thinking about moving to area? Request information on relocation services. IN GEORGIA What you need to know. UNDERSTANDING HOAsIf you are buying a home, most of the neighborhoods have a Homeowners Association. 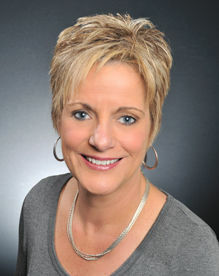 HOMETOWN SEARCHJanice specializes in finding great homes in great hometowns. GET OUR MOBILE APP Now it's easy for you to search current real estate listings anytime, anywhere.